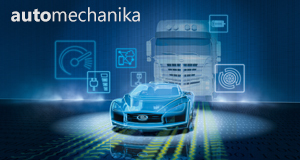 Automechanika Buenos Aires is the most important event of the automotive industry in South America. During four days, it presentes the whole vanguard in products and services related to bodywork; parts and components; electronics and systems; accessories for vehicles and personalization; repair and maintenance; repair shop and dealers management; vehicle wash and care. The Argentina’s leading international trade fair for the automotive service industry targeting trade visitors from South America is organized by Messe Frankfurt Argentina and summoned by the Association of Argentine Components Manufacturers (AFAC).